Justin Druskis, 32, didn’t set out to become a respiratory therapist. Three years ago, he didn’t even know the career field existed. He just knew he was unhappy at work. Turns out, Justin’s buddy is a respiratory therapist. Two years later, Justin graduated from NMC with an Associate of Science Degree in Respiratory Care and passed the board exam to become a Registered Respiratory Therapist, or RRT. He was immediately hired by Nebraska Medicine. Justin and other respiratory therapists care for people who have trouble breathing. The work is frequently fast-paced, involving emergency care to open airways following heart attack, drowning or other illness or injury. It also involves preventive care, patient education, and diagnosis and management of chronic lung and breathing conditions such as asthma, emphysema or heart failure. 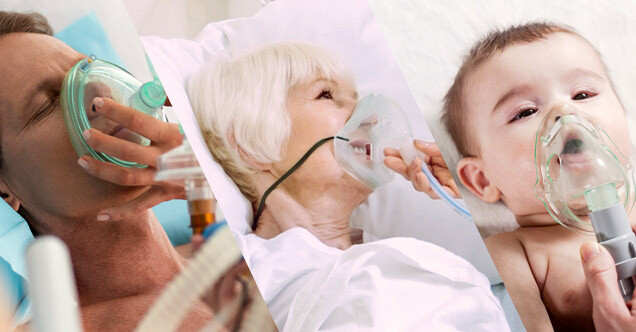 People of all ages may need respiratory therapy, from premature infants with underdeveloped lungs to elderly patients with lung disease. While the majority of respiratory therapists work in hospitals, as Justin does, many work in long-term rehabilitation centers, clinics, sleep centers, and home care. With the aging of our population and the increase in chronic disease, the demand for respiratory therapists continues to skyrocket. Employment is expected to grow by 23 percent between 2016 and 2026, much faster than the average for all occupations, according the Bureau of Labor Statistics (BLS). This means the nation needs more than 30,000 additional respiratory therapists in the next 7 years. Respiratory therapy is a high-demand field that can yield great personal satisfaction plus a fairly high financial reward. 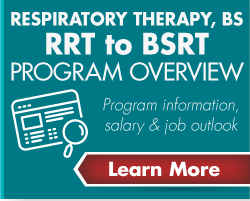 BLS data for 2017 shows that respiratory therapists earned a median salary of $28.71 per hour, or $59,170 per year. Justin says his respiratory care associate degree quickly opened up a new and rewarding world of opportunity to him. He never expected to enjoy healthcare so much. Now he’s even considering medical school and a future as a physician. 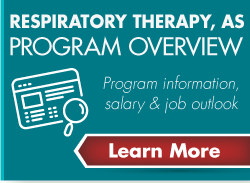 Meanwhile, the respiratory therapy field continues to advance, with an increasing emphasis on the bachelor’s degree as a springboard to leadership opportunities and the eventual standard entry to practice. Nebraska Methodist College is unique in its trio of degree options for respiratory therapists. Admissions staff can explain start date options and how program length varies by transfer credit. Earn your associate degree on-campus in 3 years, with many of the humanities credits required for a bachelor's degree built into your first year. Pass your board exam and begin working as a respiratory therapist, so in our fourth year of study, you'll be able to earn income while you learn. Complete the remaining bachelor’s coursework online, around your work and family obligations. 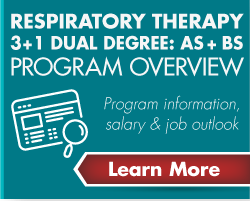 Created for the associate degree-prepared respiratory therapist who wants to earn a bachelor’s degree, this is the region’s first respiratory therapy-focused online degree completion programs. Depending upon transfer credit, the program can be completed in 18-24 months. Nebraska Methodist College (NMC) is fully accredited by the Higher Learning Commission. The NMC Respiratory Care Program, CoARC Program ID 200368, Omaha, Nebraska, Associate of Science in Respiratory Care, is accredited by the Commission on Accreditation for Respiratory Care (CoARC) for Entry into Respiratory Care Professional Practice, www.coarc.com. NMC is applying for CoARC accreditation of the Bachelor of Science in Respiratory Therapy (BSRT) degree program and was granted Approval of Intent 510010 by CoARC, effective November 9, 2018.